Coach Stephan Teeling-Lynch is head coach at Shannon masters. The club offers its members an opportunity to learn, train and compete in the sport of swimming. Shannon Masters was established in 2010 due to the demand for a club that catered for both the swimmer and the triathlete with the aims of improving not just their conditioning but also their technique. The club caters for all levels of swim-ability from beginner to advanced. We do have a 2 length minimum front crawl standard to enter the beginner lanes. We mainly focus on distance front crawl events. However we cover all strokes in training. The Club recognizes the importance of individual goals and we support each athlete in achieving their own potential. The Club promotes a team environment, where friends gather, where the athletes have fun and train together in a safe, supported and encouraging environment. 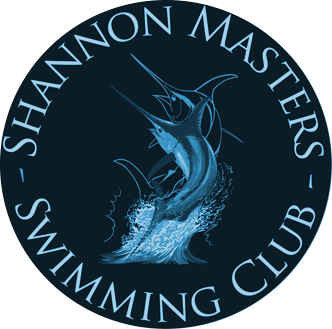 Shannon Masters Swim Club always aspires to give you the best Training environment, to foster enjoyment, competitiveness and loyalty. Shannon Masters where appropriate or possible can be used for GoTri athletes where swim coaching is involved. Please note: all are welcome to partake, we always welcome new swimmers but due to increasing numbers we may not always have availability. Please email Shannonmasters@homtail.com Where Mick or Stephan will get back to you as quickly as possible. All sessions will suit all levels. We have a number of lanes in each session and athletes are divided by ability. All sessions leading up to Christmas will focus on technique and building aerobic fitness. As we progress up to December swimmers who are focusing on swimming gala's will start into event specific preparation. Who swims with Shannon Masters ? We cater for all levels, I suppose a lot of people get put off by the term masters in the heading but we are by no means an elite club. We have swimmers as young as 19 and as old at 67 swimming with us. "Masters swimming is generally recognized as competitive swimming for adults who are over 25 years of age, though more and more competitions are open to swimmers aged 19 and over.The focus of Masters swimming is to participate in and enjoy the sport, build friendships, encourage healthy lifestyles and to compete against other swimmers of similar age. The ability of Masters swimmers varies considerably, from elite swimmers, many of whom were national champions in their youth, to social swimmers who find that competition focuses their training more. The emphasis, as with all swimming, is not on how your competitors are doing but on how you are improving. Whatever your standard there is a place for you. The social side of most Masters competitions is equally important, especially after the swimming, with strong bonds of friendship being formed. Galas are held in many centres throughout the country with competition in age groups 19-24; 25-29; 30- 34; etc. etc. (with 100-104 being the oldest age group for which world records have been set.) Events usually conclude with a social gathering." 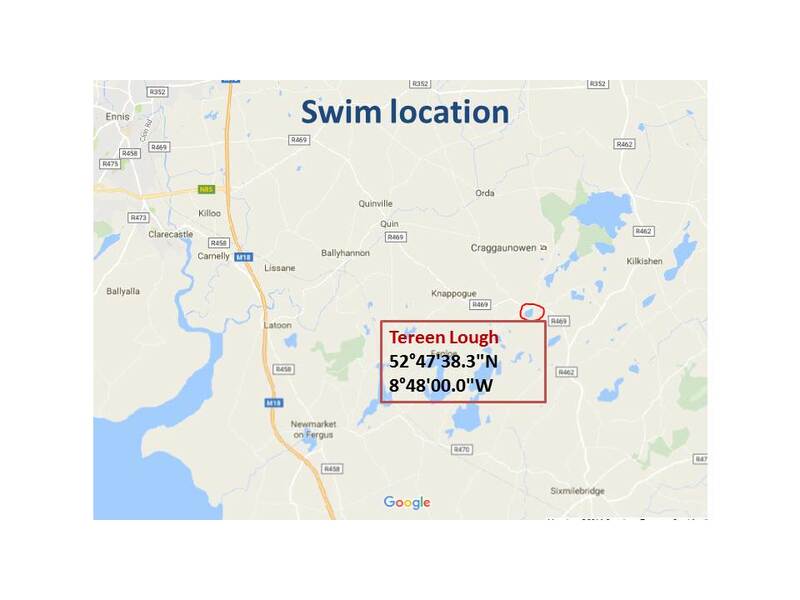 Please note - you do not have to compete to swim with us here in Shannon Masters, we would love you to compete but it is not a necessity to join our club. We are an endurance focused technique driven group of swimmers. We were not all blessed with the grace of many modern Olympians but we want to get the best out of what our bodies can achieve. You come training 🙂 - There are many sessions available. It is up to you as to how many sessions you can commit too. 1 to 3 are what most of our members achieve. Some may swim more, it really depends on you and your circumstances. Hat, goggles and togs to start with. As you go along you will be able to pick up the rest of the equipment, many members will have spares and will be able to advise you on what might suit you. Hat, goggles, togs, snorkel, fins, pull buoy, kick board,paddles. Shannon Masters is a swimming Ireland registered club and as such abides by and follows the Swim Ireland rules. All swimmers must become a member of Swim Ireland. Not convinced to join ? I’m really interested in joining the Shannon masters with a view to improving my swimming ability and completing a triathlon next year. When does it start and is there any places left. 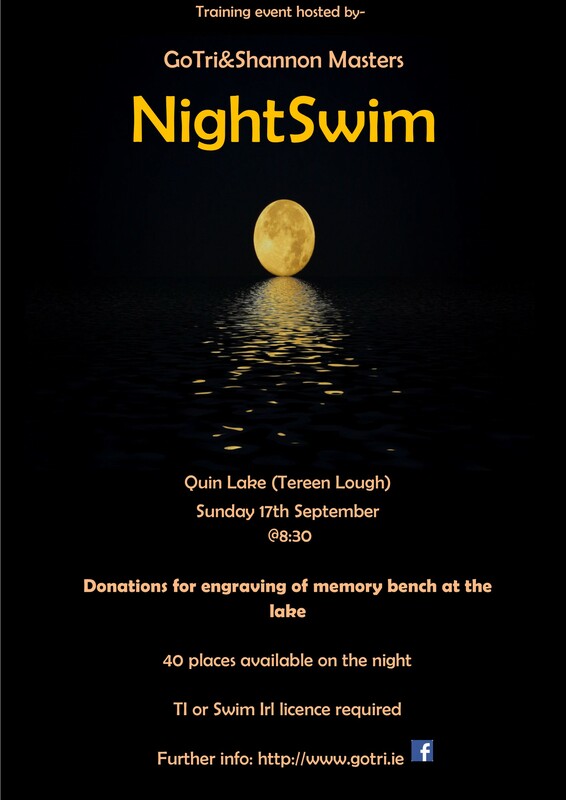 I could manage the two length minimum swim, but would possibly be breathless after 4 lengths. I used to swim as a teenager but haven’t swam or done any organised exercise in years. I walk! lol, can you cater for a lazy bones like me? How does it work for people that can just scrape in doing the bare minimum? I swim regularly in the Shannon leisure centre but I would be very interested in joining your group. I am not the greatest swimmer but I am very interested in improving my technique. Would you be able to forward me on some details? Be interested in joining myself. Swim a fair bit but would enjoy the social aspect of a club. Hi, Out-of-practice masters swimmer here. Eager to get fit again. Are there spaces left? Can I just turn up or are there some forms to be signed before etc? Do you accept 17 year olds and how much is it please? Interested in the evening session. Pool lifeguard qualified in January 2014. Hey guys, I’m seriously interested in joining you to help my surfing fitness. I had some banter with some of your bunch in the UL pool and they seem a great crew. What are the cost arrangements? Do I join the facility pool membership and yours separately, or is there a combination package?